Are you looking for a way to keep your car safe? 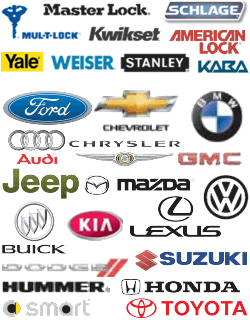 Are you afraid that you will lose your dream car? We all have a car that we love and can’t stand the thought of losing it. We would do anything to prevent them from being stolen. Car theft is a serious problem that everyone is worried about. Since the installation of factory alarm systems in the car, car theft has reduced. Even though fewer cars are being stolen, nobody likes to walk out and find their parking spot empty. The late model cars are easy to hot-wire and are highly-prized because of their profitable parts. But don’t worry, we have a perfect solution for your late model car. Installing a kill switch in your car is the best way to dissuade the thieves. The kill switch disturbs the flow of electricity at the battery or disable the fuel pump. It will frustrate the thief quickly so they will move on to an easy target. As the new cars are rarely manufactured with the kill switches, you can install it yourself. Installing an ignition kill switch is the most common and best security measure. Follow these steps to install a kill switch in your car. Here is a list of tools and things that you will need to install a kill switch. Before starting, you must ensure the ignition is off and parking brake of the car is engaged. When installing a kill switch, you must first connect to your ignition switch wiring. You need to have access to the wires and know which wires connect to your switch. In order to access the wires, you need to remove the panel wrapped around your steering wheel. If a thief breaks into your car and tries to hotwire it. This means they are familiar with theft preventive measure. This is why it is essential for you to hide your kill switch. There are few methods through which you can conceal the switch. You can hide in anywhere, under the seat, under the dashboard or in the trunk. You just have to keep in mind that the switch must be hidden and be accessible. Next step is to cut the length of electrical wire. This wire must be long enough to connect your switch to your ignition wires. Separate the 2 ignition switch wires to start your car. Then connect these wires to the wires of your kill switch. After the installation process is complete, you must test your kill switch. First, start your car with the switch in ‘on’ position. After that, you must start with the switch in ‘off’ position. Therefore, you can save money and install the kill switch yourself easily. Many locksmiths offer kill switch installation services as part of their ignition repair services. These services are backed by true professionals and will do a better job than an amateur would. Highly recommended. 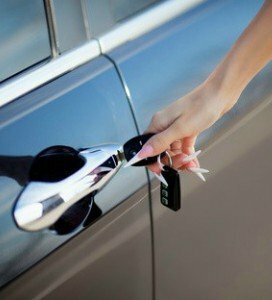 Improve automotive security with a kill switch https://georgetown-locksmith.co/improve-automotive-security-kill-switch/ 4.0/5 based upon 27 reviews.